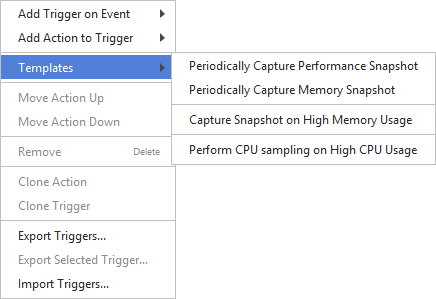 To specify triggers to be applied from profiled application start, use startup option triggers=<path> which points to a file with trigger description (see below). If the option is not specified, the trigger description is read from <user home>/.ynp/triggers.txt, where user home corresponds to the account under which a profiled application is launched. By default, that file does not exist, thus no triggers are applied. The trigger description file is a text file in UTF-8. It contains the list of events and corresponding actions. The lines describing the actions start with space characters. 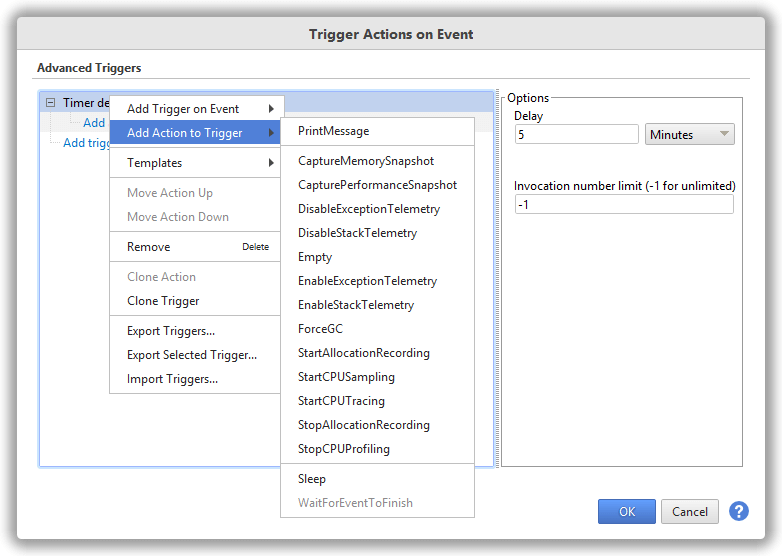 Instead of manually forming the description, please use the "Edit Triggers" dialog (see above): configure necessary triggers and actions, then use export actions in popup menu.